Designed as a parent-child bonding and golf development weekend, Rich and Matt Cuccaro of Telos Sports Psychology Coaching have created a unique and personalized experience (limited to 8 families) to be held over the President's Day holiday. Intended to assist the development of Junior golfers and their families, this 3-day gathering will provide insight into shaping a championship mental game, while also delving deep into the world of college recruiting. We will assess each junior's game and provide a roadmap for navigating the gap from high school to the complex world of college golf. Our vision is to bring together families that love golf, want to maximize opportunities for competitive success and are seeking a rewarding future at the college level. The Ultimate Player Development Experience will provide unparalleled guidance and services at a tremendous value. 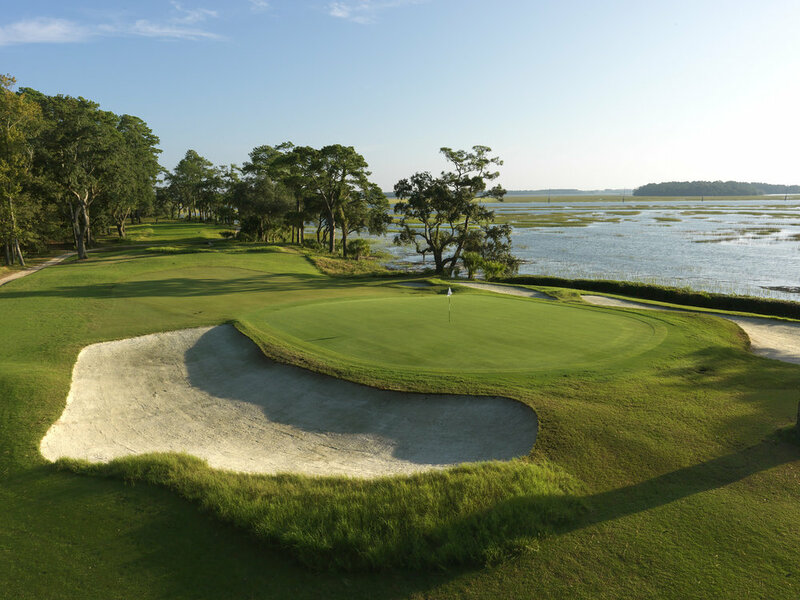 Nestled in the South Carolina Low-Country, Chechessee Creek Club is a Coore-Crenshaw designed gem in Okatie, SC. This private club is a perfect getaway, nestled only 15 minutes from downtown Beaufort and 30 minutes from Hilton Head Island. Known by members for their exquisite and personalized service and hospitality, each family will enjoy a memorable experience of learning, enjoyment and camaraderie. All families will be staying on property in the finely appointed guest rooms and cottages and all farm and sea-to-table meals will be served in the Dining Room. Transportation can be arranged from HHI/SAV airports as well as Charleston International Airport. Juniors will have full access to the practice facilities and golf course throughout the weekend. Parents are also granted 18-holes to soak in Chechessee Creek Club’s layout. Parents looking to maximize the golf experience for themselves are welcome to add unlimited facility access at the standard daily guest rate of $110. Matt has mentored young men & women along every step of their athletic journey from the junior level to the highest professional ranks. His clients include AJGA All-Americans, Olympians, NCAA champions and professionals currently competing on the PGA & LPGA TOURS. For nine years, he served as Director of Mental Training for Junior Sports Corporation in Hilton Head Island, South Carolina where numerous All-American student-athletes continue to emerge from the culture created under his guidance. Matt received his Master of Education from Boston University in Counseling/Sport Psychology and is an active member of the Association of Applied Sport Psychology. I am also incredibly proud and honored to be one of the AJGA's College Golf Advisors. I will be providing fresh content for AJGA U and "Recruiting Overview" articles. The AJGA has been a huge part of my golfing life, as a player, employee and coach. I am so happy to be working with them again. CONTACT US, LEARN MORE, SIGN UP!